Waves - BSS DPR-402Long favored by studio, live and broadcast engineers, the BSS® DPR-402 dynamics processor is known for its punch, versatility, and the explosive sound it delivered on countless rock, dance and hip-hop hits since the 80s.Workin.. Waves - DTS Neural™ Surround CollectionDeveloped under license from DTS®: three plugins for upmixing stereo sources, downmixing 5.1 and 7.1 surround audio, and converting mono content to stereo.The DTS Neural™ Surround Collection is designed for live.. Waves - eMo F2 FiltereMo F2 is an 18-dB high-pass/low-pass filter optimized for live performances. Whether used separately or as part of the eMotion LV1 mixing console, eMo F2 gives live engineers uncompromising sound quality, super-low CPU consumpti.. Waves - eMo GeneratorAn intuitive signal generator plugin that can be used on its own or as part of the eMotion LV1 live mixer. eMo Generator can generate three signal types:Pink Noise for testing and tuning your live sound system.White Noise fo.. Waves - eMo Q4 EqualizerThe eMo Q4 EQ plugin is a highly practical and convenient 4-band paragraphic equalizer. It can be used either on its own or as part of the eMotion LV1 live mixer channel strip. Designed with a live workflow in mind, it provide.. Waves - Infected Mushroom PusherCreated with leading electronic music duo Infected Mushroom, Pusher is an innovative multiband sonic enhancer and limiter/clipper that delivers Infected Mushroom’s “secret mixing sauce.”Pusher brings together high-end .. Waves: Abbey Road Reverb PlatesState-of-the-art modeling of the four legendary EMT 140 reverb plates housed at Abbey Road Studios and used on recordings by the Beatles and Pink Floyd.Introduced in the 1950s, plate reverbs have been a fixture of recor.. Waves: Aphex Vintage Aural ExciterModeled on one of only a few tube-powered units ever made, the Waves Aphex Vintage Aural Exciter® plugin delivers all the unique character of the rare original hardware unit, with all the advantages of software.When .. Waves: API 2500The API 2500 is a versatile dynamics processor that lets you shape the punch and tone of mixes with absolute accuracy. Its dual channel design lets the 2500 also function as two separate mono channels via a single compression setting. .. Waves: API 550Modeled on the late 1960’s legend, the API 550A EQ provides reciprocal and repeatable equalization at 15 points in 5 steps of boost, divided into three overlapping ranges. Its high and low frequency ranges are individually selectable as.. Waves: API 560Based on the 1967 classic, the API 560 10-Band graphic equalizer features precision filtering and high headroom, ideal for signal enhancement and room tuning. The API 560’s curve shaping potential is unmatched, while API’s unique “Propo.. Waves: AudioTrackAudioTrack gives you the power of three complete Waves processors in one, easy-to-use plugin. With equalization, gating, and compression, it’s ideal for multimedia, voiceovers, project studios, and more.Three processors in one easy-t.. Waves: Bass RiderBass Rider is an innovative, easy-to-use plugin that rides bass levels automatically. A companion to our popular Vocal Rider plugin, Bass Rider delivers perfect bass levels, without changing the natural sound of your bass. Optimized .. 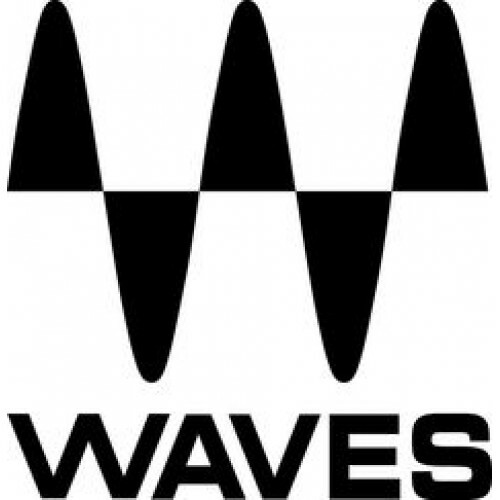 Waves: Broadcast and Surround SuiteIndustry-standard broadcast audio plugins for TV, radio, film and webcasting: noise reduction, loudness metering, and surround mixing, upmixing and downmixing.The Broadcast and Surround Suite includes the following .. Waves: Butch Vig VocalsWidely considered one of the most influential rock producers of recent decades, Butch Vig helped spawn an entirely new rock genre. From Nirvana and Smashing Pumpkins to Foo Fighters, Green Day and his own band Garbage, Butch Vi.. Waves: C1 CompressorWith compression, expansion, gating, and equalization, the C1 is a true production workhorse, featuring three independent modules which can be used separately or combined for maximum flexibility.Compressor plugin with gate and sid.. Waves: C4 Multiband CompressorA multiband dynamics processing powerhouse, the C4 does it all: Four bands of up and down expansion, limiting, and compression, plus dynamic and standard EQ. Combining technologies from our acclaimed Renaissance Compress.. Waves: C6 Multiband CompressorFor years, the C4 has been a favorite of studio engineers the world over, and in live sound, it’s quickly become a must-have for front-of-house and monitor professionals as well. To create the C6, we took the tried-and-t.. Waves: CenterIdeal for final mixes and mastering, Waves Center is an innovative processor that separates phantom Center content from Side (L/R) content. With Center, you can zero in on the phantom center and bring out or bring down the vocals without.. Waves: CLA BassChris Lord-Alge on CLA Bass: “From sub-shaking smooth sounds to Mr. Buzzsaw, CLA Bass is just what the doctor ordered. The plugin was designed to help you lay down a solid foundation for any song. It gives you six essential effects: ba.. Waves: CLA DrumsChris Lord-Alge on CLA Drums: “One of my favorite activities is to work on drums. When creating the CLA Drums plugin, I had one thing in mind: Anyone who uses it can get a great drum sound for any song and any mix and just have fun! T.. Waves: CLA EffectsChris Lord-Alge on CLA Effects: “CLA Effects does it all. Filtered vocal? Check. Telephone FX? Check. John Lennon “I Am the Walrus” vocal distortion? Check and double check. Multiple delays with tape phasing? You got it. Reverb, tap.. Waves: CLA GuitarsChris Lord-Alge on CLA Guitars: “Two words describe the CLA Guitars plugin: Instant Gratification. Every time I plug in my axe, I just can’t stop playing! It delivers the guitar sounds I’ve used on tracks from Green Day to Daughtry,.. Waves: CLA UnpluggedChris Lord-Alge on CLA Unplugged: “CLA Unplugged is a dream box of reverb effects plus great hi-res EQ and compression for complex sounds. I always loved the Aerosmith ‘Dream On’ vocal reverb with the really long pre-delay. And I .. Waves: CLA VocalsChris Lord-Alge on CLA Vocals: “The most important part of any song is the vocals. The CLA Vocals plugin makes this part of mixing an absolute joy. I have taken the very best settings which I use in my everyday mixes and crafted them.. Waves: CLA-2A Compressor / LimiterModeled on the legendary electro-optical tube compressor, the CLA-2A emulates the original’s smooth, frequency-dependent behaviors that have made it a favorite of engineers everywhere. Like the mid-‘60s classic, the .. Waves: CLA-3A Compressor / LimiterBased on the early ‘70s solid-state unit known for its unique and highly transparent compression curve, the CLA-3A delivers the quick response and the subtle harmonic distortion for which the original is world-renown.. Waves: CLA-76 Compressor / LimiterInspired by two highly-desirable revisions of the famed mid-60s Class A line level limiting amplifier, both versions of the CLA-76 (“Blacky” and “Bluey”) offer the superfast attack (as quick as 50 microseconds!) that.. Waves: Codex Wavetable SynthWaves Codex is a cutting-edge polyphonic synthesizer based on an advanced granular wavetable engine and powered by Waves’ Virtual Voltage technology. Designed to create sounds that range from warm acoustic and analog emula.. Waves: dbx® 160 Compressor / LimiterConsidered one of the best drum compressors ever, the original dbx® 160 stands tall among its peers, boasting a very clean sound with minimum THD. The fast-acting dbx® 160 compressor was used in almost every major .. Waves: DeBreathSingers insist on breathing - even when it spoils a perfectly good take! With DeBreath, you can truly take their breath away. DeBreath uses a unique algorithm that automatically detects and separates a vocal take into two distinct trac.. Waves: DeEsserWhen it comes to reducing excess sibilance (“ess” and “shh” sounds) from vocal tracks, nothing compares to Waves DeEsser. Inspired by vintage gear for precision de-essing and high frequency limiting, DeEsser delivers smooth and natural .. Waves: DopplerExplore new dimensions of sound and movement with Doppler. Create the illusion of traveling through space or the rush of a passing train. With Doppler, you control the frequency change, speed, and distance from your sonic source with pi.. Waves: Dorrough StereoThe Waves Dorrough Meter Collection (Stereo) features models of Dorrough’s most popular loudness meters: 280D/240D, 380D/340D, and 40AES/EBU. Developed in association with Dorrough Electronics, these meters provide precision lou.. Waves: Dorrough SurroundWaves Dorrough Surround includes customized meters engineered especially for surround production environments, as well as all meters included in the Stereo edition of the Waves Dorrough Meter Collection.Waves Dorrough meters d.. Waves: DoublerWhen professional engineers need superior double-tracking effects, they turn to Doubler. Using delay and pitch modulation, Doubler delivers extraordinary richness and texture on vocals and polyphonic instruments as well as full mixes.Do..